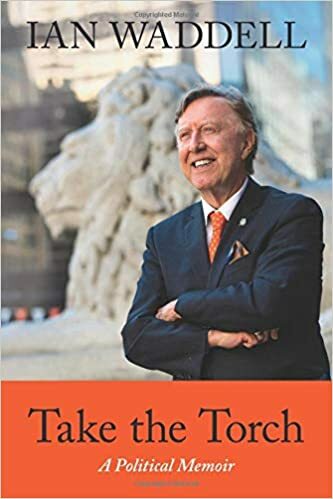 Take the Torch is a compelling memoir from one of BC’s most widely accomplished and animated politicians, Ian Waddell, QC. Waddell takes us on a journey through his life and career as a storefront lawyer, an NDP Member of Parliament, a Minister of Culture, a writer, a teacher, a film producer and more―delivering a smart, humorous, endearing and impossible-to-forget exploration of public life. Ian Waddell is a Canadian politician, author and filmmaker who served in the House of Commons from 1979 to 1993 and in the Legislative Assembly of British Columbia from 1996 to 2001. Currently, Waddell is a documentary film producer and a consultant in environmental and aboriginal affairs. In December 2013 he was appointed the honorary title of Queen’s Counsel for his merit and exceptional contribution to law. His film The Drop: Why Young People Don’t Votewon the Best Producer Award in the Beverly Hills Film Festival. He lives in Vancouver.